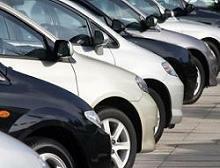 Commercial fleet insurance - company fleet insurance policies. 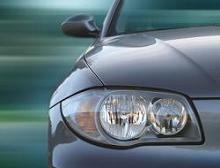 Commercial insurance quote vehicle - company fleet insurance. 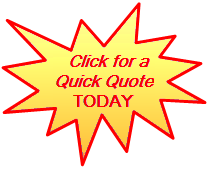 Call us on 01803 698 456 for a quick low cost quote. Devon Direct offers commercial fleet insurance policies. Contact us for a commercial vehicle insurance quote for you company fleet insurance. Devon Direct Insurance Services Ltd are an Independent Insurance Intermediary. Our service includes advising you on your insurance needs, arranging cover with insurers to meet your requirements and helping you with any ongoing changes you have to make. We will accept responsibility for the advice provided. We act on your behalf in arranging your insurance. Devon Direct Insurance Services Ltd is authorised and regulated by the Financial Conduct Authority (FCA). Our FCA Register number is 306033. We normally accept payment by guaranteed cheque, bankers draft, postal orders, cash ,Visa or Master Card credit cards. We can also accept payment by Switch, Solo or Visa Electron debit cards. You may be able to spread your payments through insurers instalment schemes or a credit scheme, which we have arranged with a finance provider. 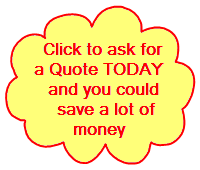 We will give you full information about your payment options when we discuss your insurance in detail. Devon Direct Insurance Services Ltd holds a consumer credit Licence (No 552043) under the Consumer Credit Act 1974. Any money received from you is held by us as agents for the insurers, we do not hold client money. Commission is that part of the premium, included in the quotation, which covers our operating costs and profit. This includes staff salaries, establishment, computer systems and all other day to day expenditure. This sum which is a variable percentage of the premium, is collected by ourselves by deduction from the quoted premium which you pay to us, and is not invoiced separately. Please note that once the policy has been set up in accordance with your instructions, we will retain the commission due and any administration costs regardless of any specific changes or cancellation requests, even if you cancel the policy prior to cover taking effect. In some circumstances the commission mayby charged on a pro rata basis depending on the circumstances in an indivdual case. It is our intention to provide you with a high level of customer service at all times. If you should wish to make a complaint about our service , we have a formal complaints procedure which is, in the first instance you should contact us in writing or by telephone, fax or e-mail address. Please address your complaint to the Customer Service Director. We will then acknowledge receipt of your complaint in writing, within 5 working days and advise you of the name of our representative who will be dealing with your complaint. We aim to have a final response to your complaint sent to you in writing, within 20 working days. Individual insurers also have their own complaints procedures and these can be found in their individual policy booklet. It is your responsibility to provide complete and accurate information to insurers when you take out your insurance policy, throughout the life of the policy and when you renew your insurance. It is important that you ensure that all statements you make on proposal forms, claim forms and other documents are full and accurate. Please note that if you fail to disclose any material information to your insurers, this could invalidate your insurance cover and could mean that part or all of a claim may not be paid. It is essential that all answers given are accurate and complete. You are urged to read through, understand and verify all details given before signing the form. This is especially important if the form has been completed by someone on your behalf or if it is computer generated. Insurers reserve the right to withhold payment of a claim or to impose extra terms or premium if inaccurate or misleading information is given. If you have any doubt at all as to what constitutes relevant facts or information then it must be disclosed on the proposal form. We cannot accept any responsibility for your failure to include such information even if you have verbally advised a member of our staff or were under the impression we already knew or thought you should be asked specifically. It is your absolute responsibility to affirm the written details shown. You are also advised to thoroughly check the terms and conditions imposed by the insurer and which are set out in their proposal forms before signing. Insurers reserve the right to alter premiums or refuse cover if the details on the proposal form differ form those originally provided at quotation stage. We may keep certain documents such as your insurance policy documents or certificate while we are waiting for full payment of premiums or administration charges. In these circumstances we will ensure you receive full details of your insurance cover and will provide you with any documents which you are required to have by law. If you wish to cancel your policy we advise that in the first instance you call our office as you maybe due a refund as long as no claims have been made against your policy. You must then return your policy document or a declaration that these have been lost together with a letter confirming your cancellation request BEFORE we can cancel your policy. Cancelling your Direct Debit does NOT cancel your policy. If you do not pay in full for the time you have had on cover a debt recovery agency may be used to recover any losses. Any costs incurred will be added to your debt. Policy add-ons such as Claims Assistance or Breakdown policies run concurrently with the main policy and cannot be cancelled and therefore, no refund of premium is possible. All personal information about you will be treated as private and confidential. We may use information we hold about you to provide information to you about other products and services which we feel may be appropriate to you. Under the Data Protection Act 1998 you have the right to see personal information about you that we hold in our records.